Golf Cliks came to Visual Compass in need of a front-end development team, graphic designer, and the ability to hook into their RESTful API through the use of angular.js. Our team provided the skills and support to launch this dynamic tool for golfers. 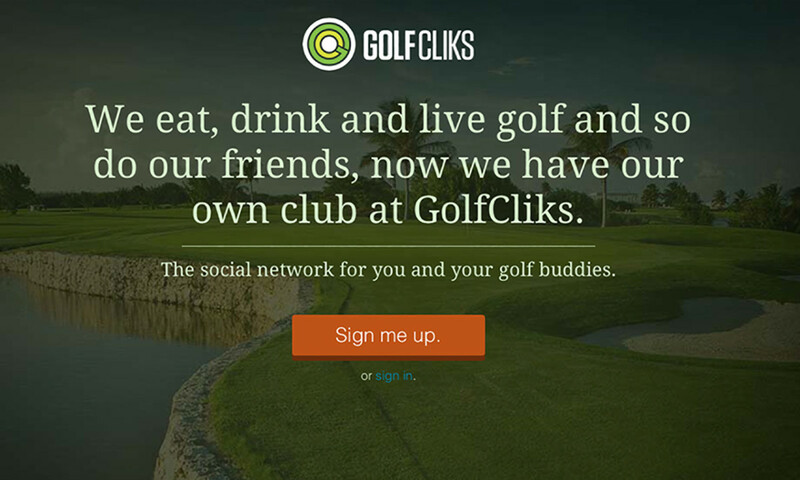 Golf Cliks offers a one-stop-shop for social media, online deals and couponing, as well as real time chat and score keeping for the novice and professional golfer.